Single broadsheet sources analysis that is ready to use. 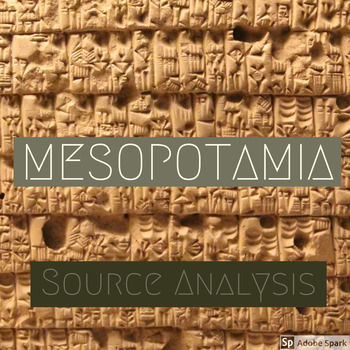 Contains sources for exploring the everyday lives of those living in ancient Mesopotamia as well as the impact that their innovation has had on civilizations since. - 5 questions aligned to Bloom's Taxonomy. 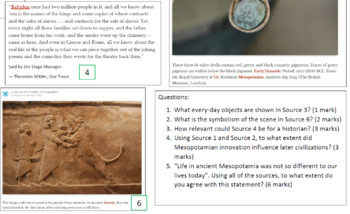 - Examples showing what to look for in answers to the questions.